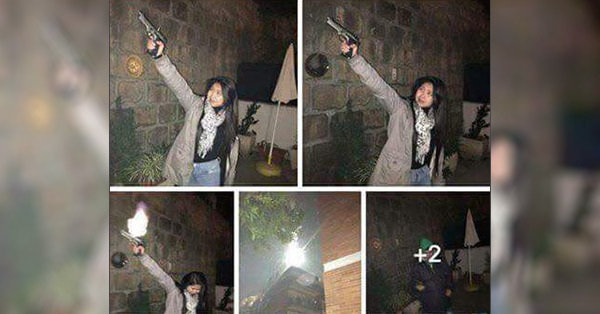 An overseas Filipino worker (OFW) earned the ire of netizens after she fired a handgun to celebrate the new year and posted photos of her act. 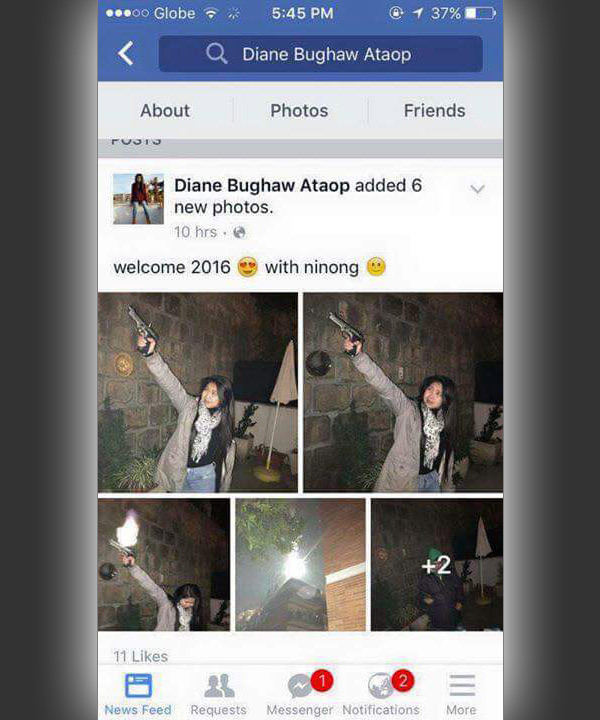 Facebook user Zaldy Baldonado captured a screenshot of pictures showing a certain Diane Bughaw Ataop, also known as Asiang Hernandez Bughaw, welcoming 2016 with a bang. The screenshot quickly went viral on social media, garnering hundreds of FB likes and shares. Some netizens were alarmed about the incident, but Bughaw insisted that the bullets used in the handgun she fired during the New Year revelry were blank and the incident did not happen in the Philippines. In her post, Bughaw called her bashers "boplaks" or dumb. Despite her explanation, concerned individuals said that what she did was wrong. BuRn VasQuez, one of those who criticized Bughaw's act, shared a link to a video featuring a demonstration to prove that blank guns are still dangerous. Bughaw has switched her Facebook account to private after receiving flak online.